Exactly what does your body need to maximise post workout recovery? You can train as hard or as often as you want, but if your efforts are not underpinned by an effective and consistent diet, then don’t expect to achieve the results you want. This is especially important when it comes to the effectiveness of your recovery. 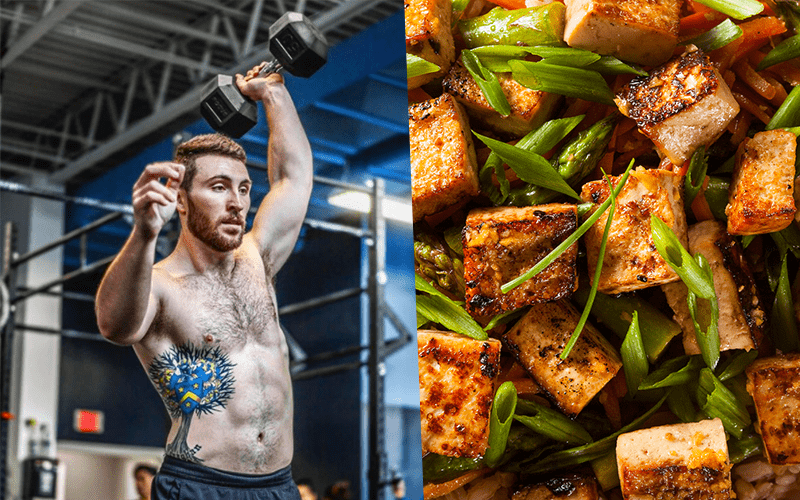 WHAT MACRONUTRIENTS DO YOU NEED AFTER YOU TRAIN? 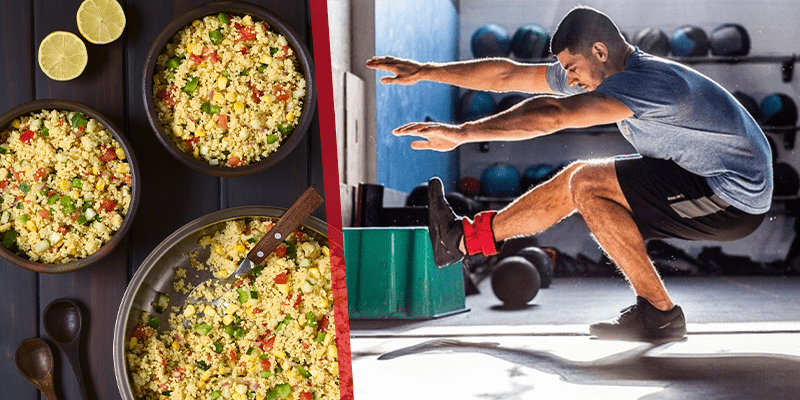 What you should eat is dependent on what you did during your workout, but there two consistent and unwavering truths – You need to refuel with both protein and carbohydrates. Everyone is unique, so experiment with these principles to find the right way that works for you. Remember that convenience is king and will help you to stick to healthy habits. 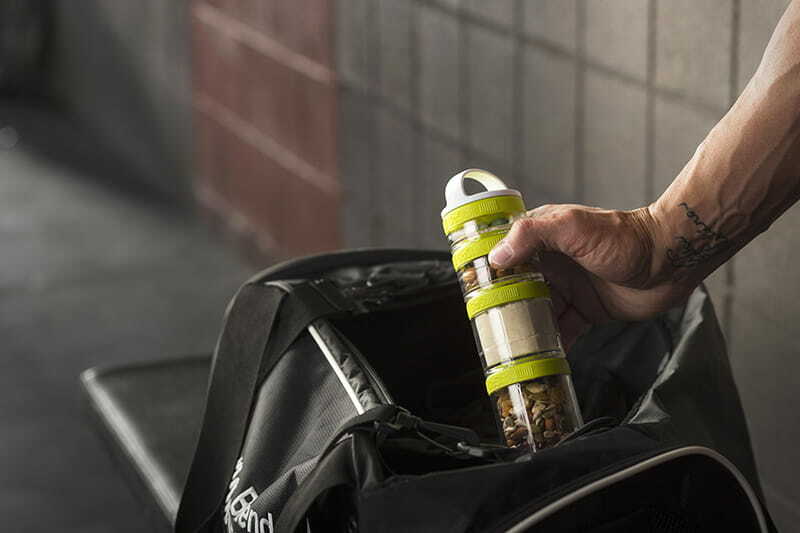 For example, if you need to eat your post workout meal but won’t have the opportunity until you get home, take the ingredients in a GoStaks Container and consume as soon as you finish. Your organs, tissues, muscles and hormones are all made from proteins. They do most of the work in cells and are required for the structure, function, and regulation of the body’s tissues and organs. Proteins are made up of hundreds or thousands of smaller units called amino acids, which are attached to one another in long chains. Whether it was a strength session or a metcon, you should always aim for 25 – 40g of protein post workout. 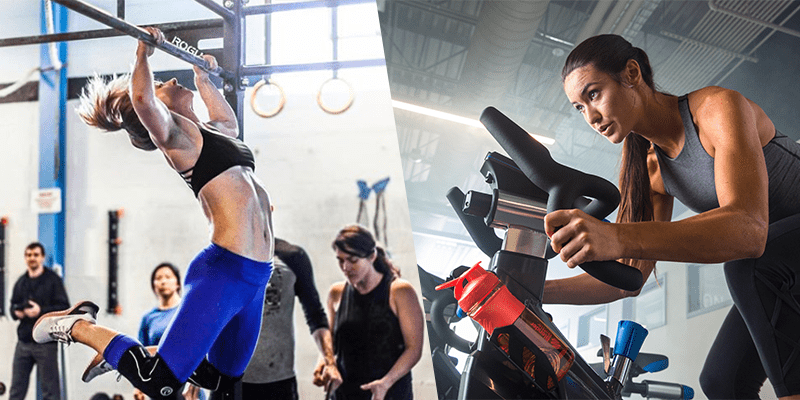 The Blenderbottle Sportsmixer enables you to quickly prepare the exact foods and nutrition you need to fuel your body for optimal performance during every morning workout, and to recover properly afterwards. As a vegan you can keep your plate high in protein, varied and interesting just as well! As long as protein is eaten in all meals, post-workout protein timing may not matter all that much. So long as you get your calories and macros right, timing is a much smaller concern, responsible for at most about 20%, and possibly as little as 10%, to the total impact of a diet plan. Try the following recipe for a convenient and tasty post workout snack. Use a BlenderBottle Sportsmixer to make the following recipe. Use rolled oats rather than steel-cut oats, which will not blend well. If you find the texture of raw oats off-putting, precook the oats, cool and then blend into your smoothie. The drink provides about 224 calories. Please note that the exact protein content of the drink depends on the brand of protein powder you use. Foods high in carbohydrates are an important part of a healthy diet. Carbohydrates provide the body with glucose, which is converted to energy used to support bodily functions and physical activity. Complex carbohydrates will supply you with a slow burning supply of energy. They typically have a lower Glycemic Index (the rate at which energy is released – measured in blood glucose levels) and will not give you spikes in your insulin levels. This in turn means you will avoid the inevitable crashes that follow the consumption of food and drinks that have a high Glycemic Index. Many Crossfitters train in the evening after work, university or the events of the day. It is especially important to pay attention to your nutrition at these times because it will also affect your sleep quality, which in turn will have an impact on your recovery. The importance of good sleep cannot be underestimated for repair and regeneration. The effects of poor sleep can seriously impair your progress. Specific foods and nutrients can balance hormones and neurotransmitters that have been either elevated or suppressed during exercise. Cortisol is crucial for energy production so we want it to be high when we exercise, but consistently elevated levels will impair sleep and recovery. Boosting melatonin, serotonin and growth hormone levels will help to induce healthy sleep and kick start your recovery. We want cortisol to be low in the evening to allow growth hormones to be secreted in the initial stages of sleep. If we get our nutrition on point we can take advantage of this spike in growth hormone to maximise your gains. Foods that will help achieve this include carbohydrates. You have just smashed your body through a brutal WOD, it is primed to absorb carbohydrates to replenish glycogen stores. This is essential if you are training the next day. Carbohydrates will also lower cortisol levels due to insulin secretion. The consumption of certain foods that increase the availability of tryptophan, alongside synthesis of serotonin and melatonin, will aid in promoting sleep. Eating some protein containing Omega-3 fatty acids is also recommended for repair and because eating quality protein in the evening can also increase serotonin levels. Omega-3 fatty acids have been shown to reduce cortisol, boost growth hormone and lower the inflammatory response from exercise. As you can see, a healthy diet doesn’t always have to be expensive or time consuming. If you plan ahead and organize your days, you can start eating right, change you habits, and maximse your recovery after every session.